Best Western Inn by the Sea La Jolla, Hotel null. Limited Time Offer! Best Western Plus Inn By The Sea. 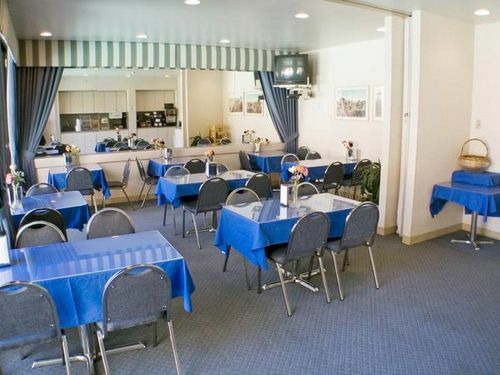 3-star inn,hotel "Best Western Plus Inn By The Sea" is an excellent place to stay when exploring La Jolla. 129 bedrooms are featured. The bedrooms are comfortable, and have been decorated with taste. Hot weather is kept outside thanks to the relieving air conditioning. Start your day with a short stroll in the private inner courtyard followed by a nice swim in the outdoor pool. Choose from the various recreational activities offered, like helicopter/airplane tours or birdwatching. There are also several sporting activities for you to participate in, such as diving, pilates, squash, tennis, golf, soccer, yoga, volleyball, snorkeling, surfing and aerobics. The facilities include a gym, boats, a walking trail and a running track as well as a bike rental service. For children, there is a child care center available, to free parents for a while, while they play safely in the care of the staff. The onsite restaurant serves an appetizing dinner. To add to your stay, breakfast is included. Access to the Internet is available free of charge and there is a shuttle bus service which can take you to and from the airport.